Solve It! The half-life of a radioactive substance is the length of time it takes for half of the atoms in a sample of the substance to decay. 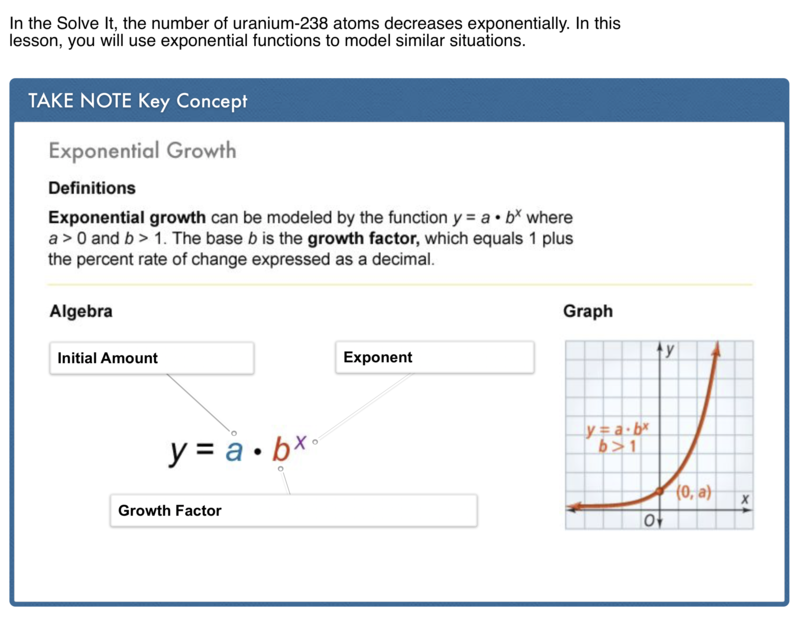 The half-life of uranium-238 is expressed in scientific noation below. Suppose you have a sample of 1000 uranium-238 atoms. 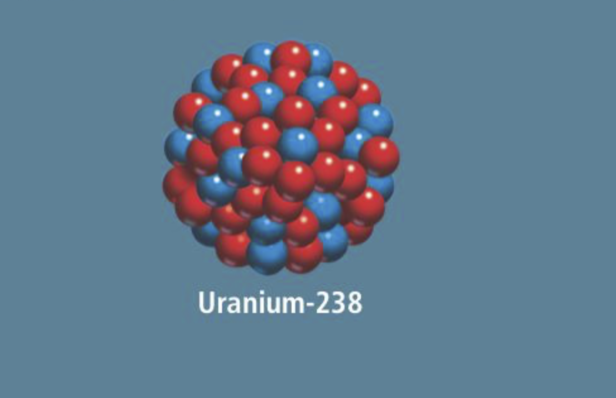 How many atoms of uranium-238 are left after the following number of years? Enter only the number of atoms. 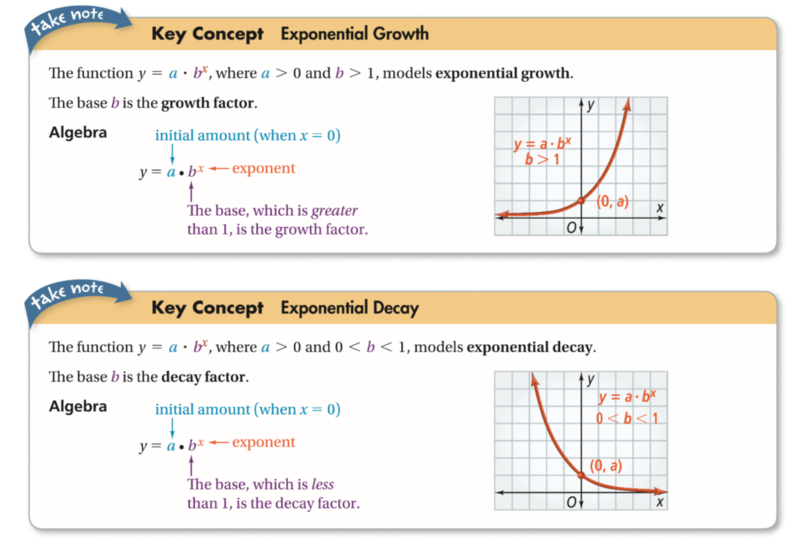 Vocabulary: How can you tell if an exponential function models growth or decay? 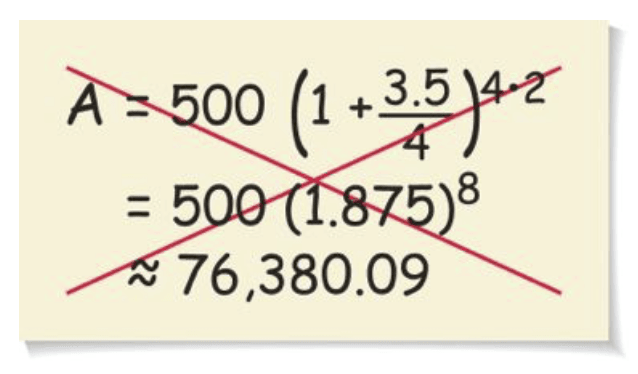 Reasoning: How can you simplify the compound interest formula when the interest is compounded annually? Explain. 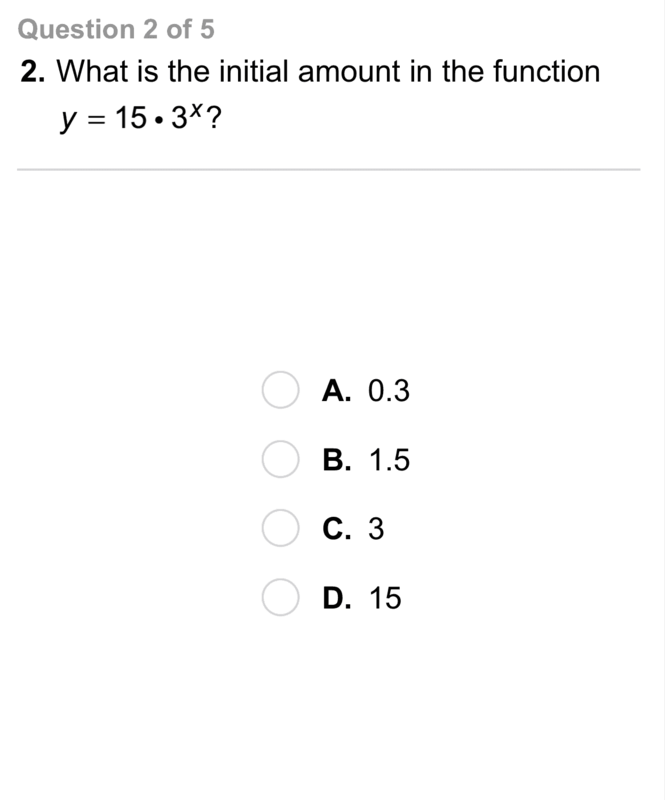 Error Analysis: A student deposits $500 into an account that earns 3.5% interest compounded quarterly. 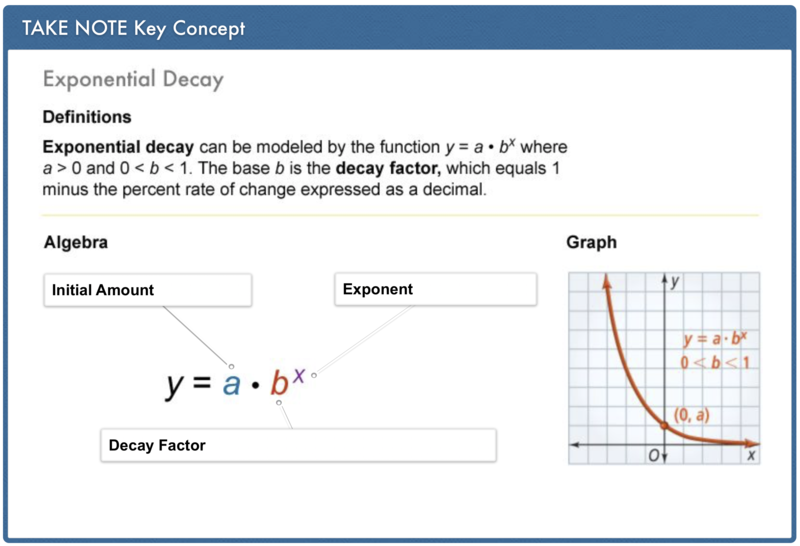 Describe and correct the student's error in calculating the account balance after 2 yr.
Review Lesson 7-6: Graph the function. Zoom and pan your graph to establish an appropriate viewing window. 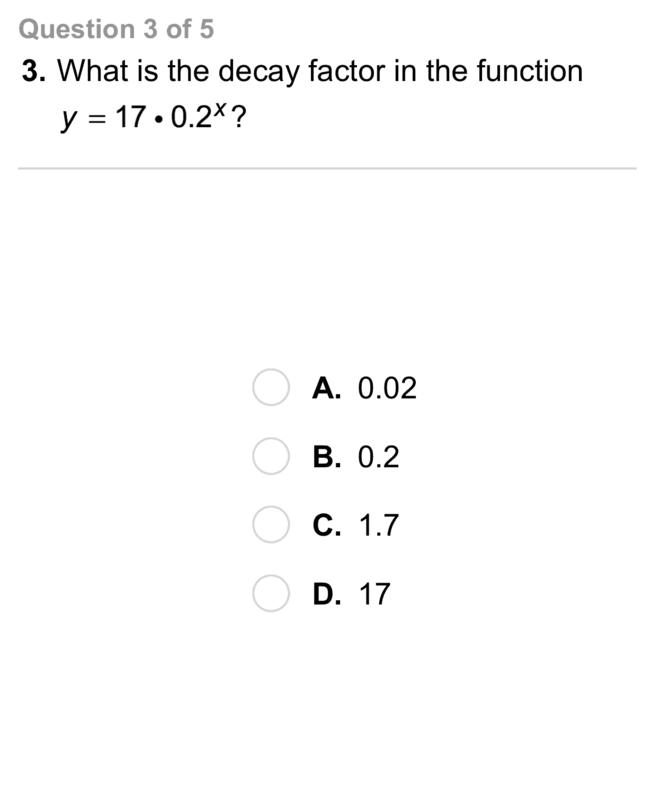 Review Lesson 7-6: Graph the function on the canvas. 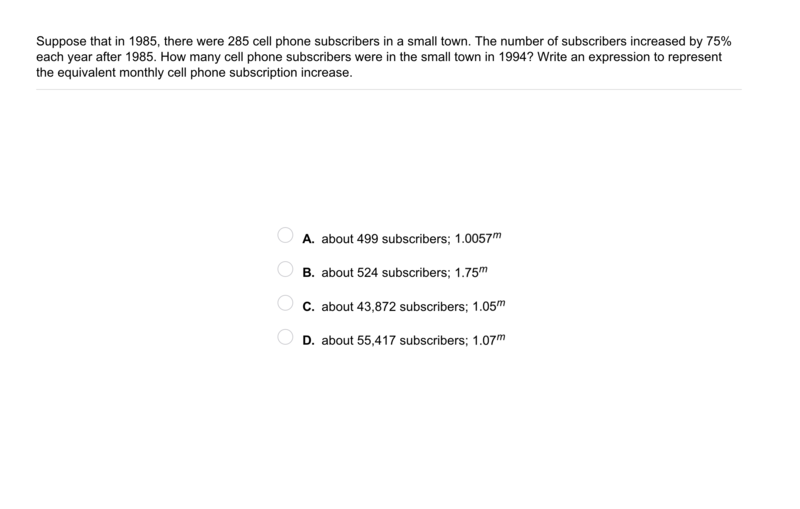 Include all relevant graph detail. 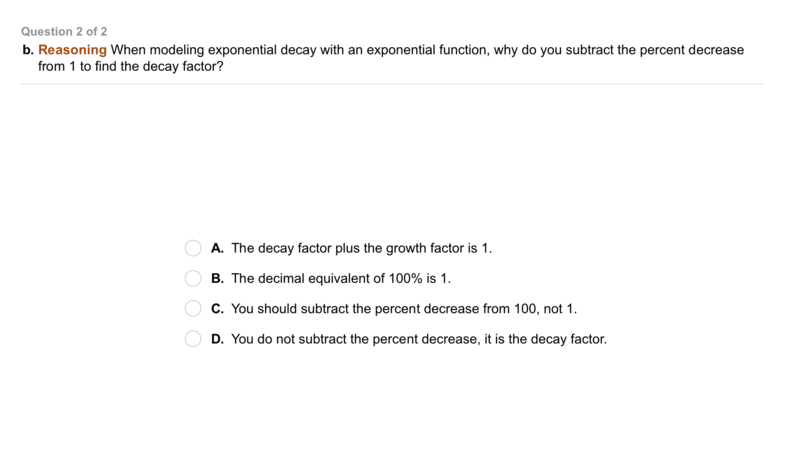 Review Lesson 4-7: Write an explicit formula for each arithmetic sequence. 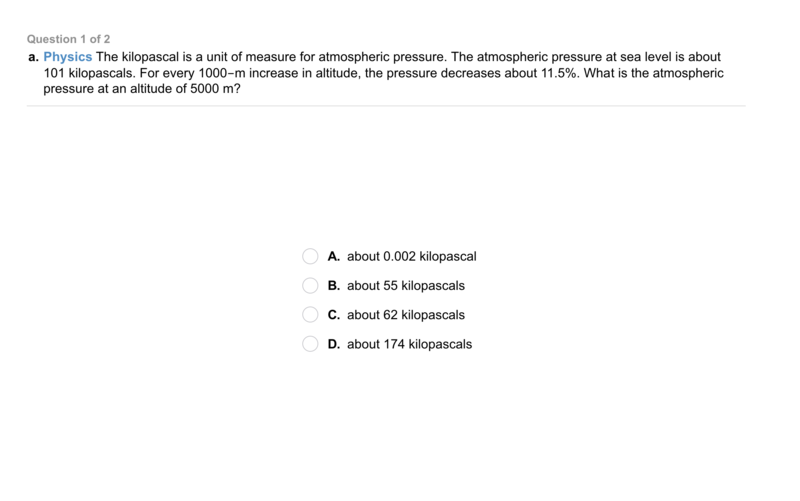 Vocabulary Review: Match each situation and the equation that models it. A person begins with $100 and earns $2 each day. A person begins with $2 and earns $100 each day. A person begins with $100. Each day the money doubles. 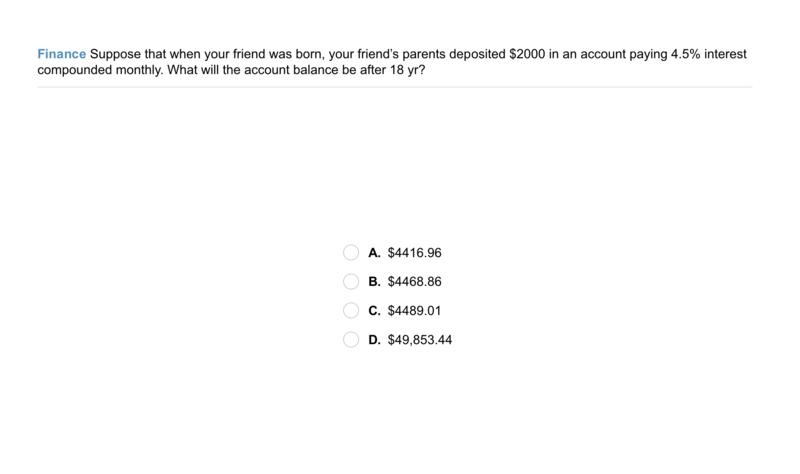 The amount of money deposited in an account is the __?__. 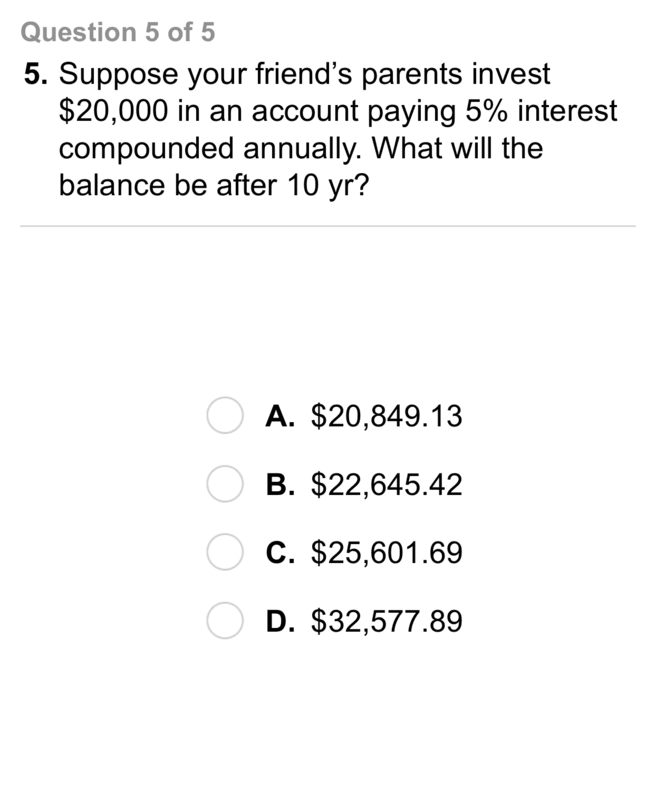 The amount of money earned on an investment only is __?__. Interest earned on both the principal and the interest left in the account is __?__. 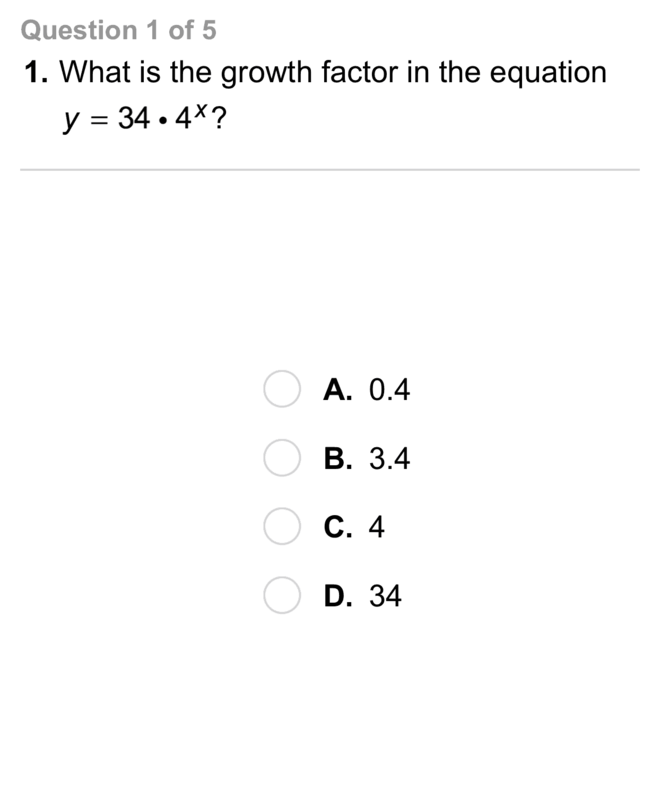 Use Your Vocabulary: Use the situation below and identify the principal, interest rate, time in years, and balance. 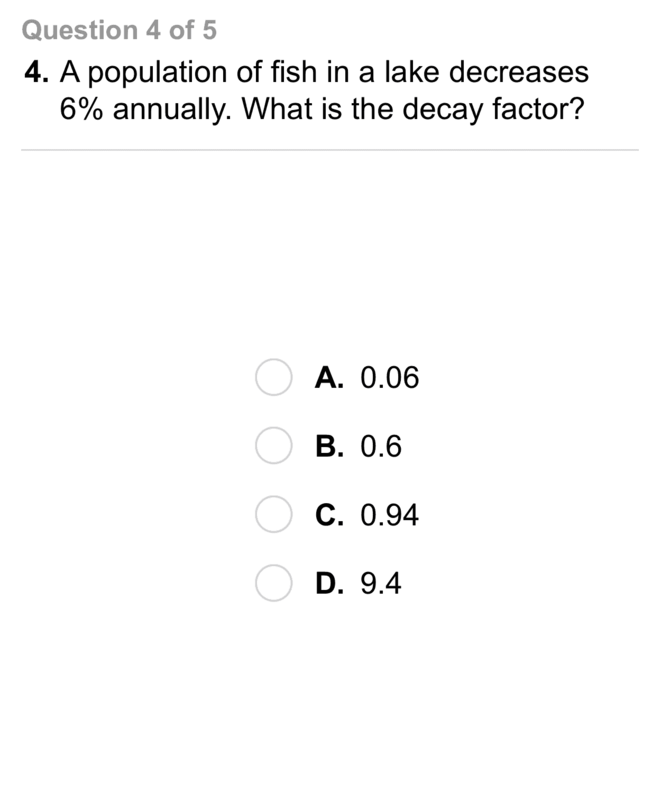 Use Your Vocabulary: Classify the values based on whether they could be a growth factor or decay factor.